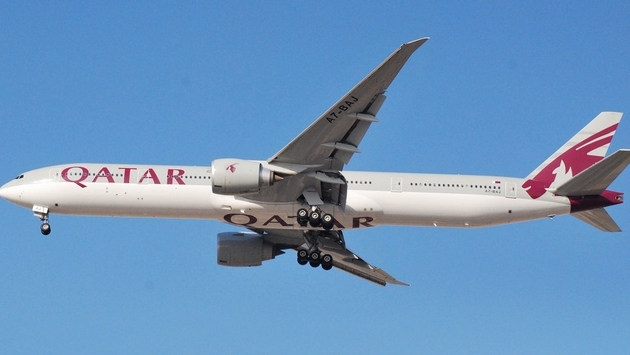 Qatar Airways CEO Akbar Al Baker is calling out the decision to ban carry-on electronics on flights from the Middle East. Al Baker is further questioning where the pursuit of security will end. In a separate interview with Bloomberg, the chief commercial officer for Emirates, Thierry Antinori has said the Middle East’s largest carrier has also seen a decline in traffic to the United States. Although, says Antinori, the decline is being offset by double-digit growth from Chinese travelers visiting the Middle East. While Middle East carriers may be seeing a dip in traffic to the United States, they are collectively having a very good year. In 2016, for the fifth year in a row, the Middle East passenger growth rate has topped any other global region, according to a press release from the Arabian Travel Market. Additionally, the UAE, the region's largest aviation market, is expecting a 6.3 percent growth for 2017. In total, IATA is forecasting Middle Eastern carriers will see nearly 258 million new passengers a year on routes to, from and within the Middle East by 2035. Undoubtedly, the U.S.-initiated ban of carry-on electronics will be a hot topic of conversation at the Arabian Travel Market trade show, which starts next week at the Dubai World Trade Centre. The U.S.-initiated electronics ban affects about 15,000 passengers and 50 U.S.-bound flights per day on carriers that include Egypt Air, Emirates, Etihad Airways, Kuwait Airways, Qatar Airways, Royal Air Maroc, Royal Jordanian Airlines, Saudi Arabian Airlines and Turkish Airlines. The most impacted carriers are Emirates, which operates 18 daily flights to 12 U.S. airports; Etihad with 45 weekly flights from Abu Dhabi to six U.S. cities; and Qatar Airways which flies from Doha to 10 U.S. cities. A similar ban is also effect in the United Kingdom, although it targets different destinations and airlines, including Atlas-Global Airlines, British Airways, EasyJet, Egyptair, Jet2.com, Middle East Airlines, Monarch, Pegasus Airways, Royal Jordanian, Saudia, Thomas Cook, Thomson, Tunis Air and Turkish Airlines. While the electronics ban is creating challenges for Middle East airlines, it is nothing but good news for Air India, according to the Hindu BusinessLine. The airline has reportedly seen bookings to the U.S. double since the ban took effect. Additionally, the article reports Air India’s has seen its load factors on flights from Dubai and Abu Dhabi jump to 83 percent since the ban. The airline has increased fares on those routes by nearly $150. Meanwhile, despite Qatar's CEO calling the ban ill-conceived and rushed, he says he remains a fan of Donald Trump: “The president will act on the advice of the people around him. In this matter, he was ill-advised."